The openings were crowded in Mayfair and Old Street on Tuesday evening for this dense, two-site exhibition. Including work by fifty artists and spanning a full 100 years, Surface Work is something like the tasting menu at a Michelin Star restaurant: exceptional, if slightly overwhelming as a total experience – enduringly memorable for exquisite individual moments. 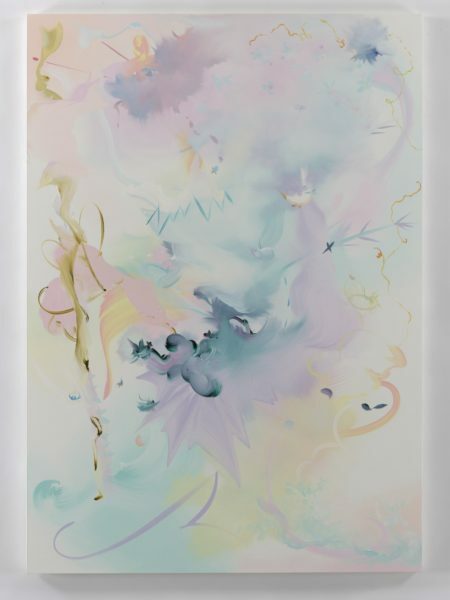 The premise of the show is disarmingly simple: abstract paintings by female artists. The title is taken from a quotation from the American painter Joan Mitchell: “Abstract is not a style. I simply want to make the surface work”. 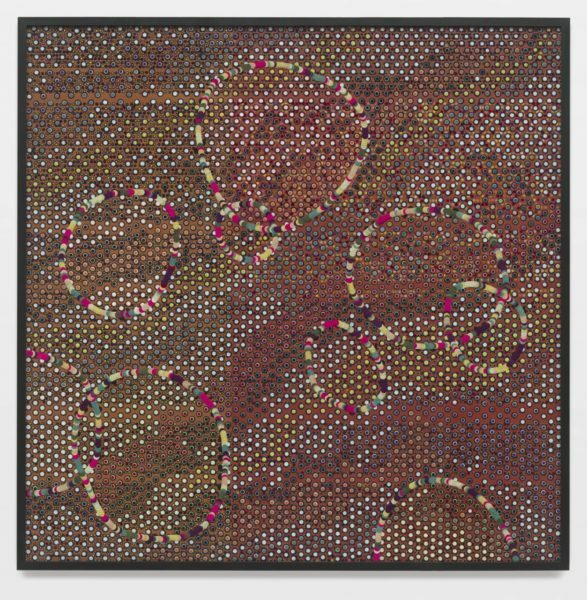 Mitchell was notable as one of only four women artists included in the Royal Academy’s authoritative Abstract Expressionism show in 2016. And here is the nub of the matter: abstraction, particularly in its heroic, twentieth century phase, is most popularly understood as a peculiarly masculine domain. Our mental image banks all contain the photos of those serious 20th century men, muscular arms in workers’ shirt sleeves splashed with paint, or costumed as intellectual/aristocratic in their bow ties and tweed, earnestly facing down the lens. Liubov Popova’s breathtakingly poised and concise Untitled, 1918 is the earliest painting in Surface Work. A close associate of Vladimir Tatlin and Kasimir Malevich, Popova’s modestly scaled painting on cardboard anchors the exhibition in the history of European abstraction. 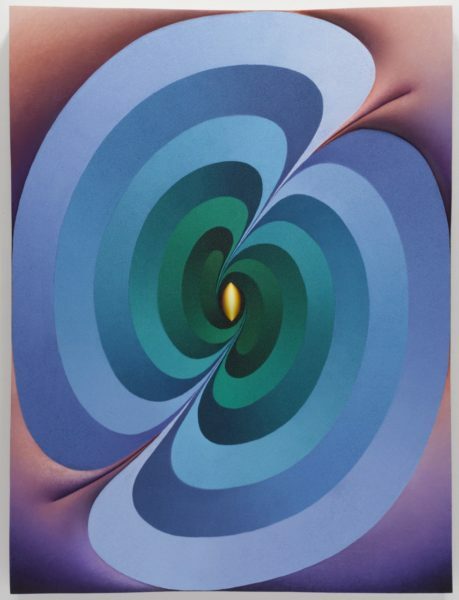 She was one of the few female artists to be promoted by the legendary Annely Juda, whose eponymous London gallery from 1968 introduced so many European and American abstract artists to this country. Betty Parsons is also represented as a painter in the exhibition, although she is perhaps more readily remembered for her New York gallery. 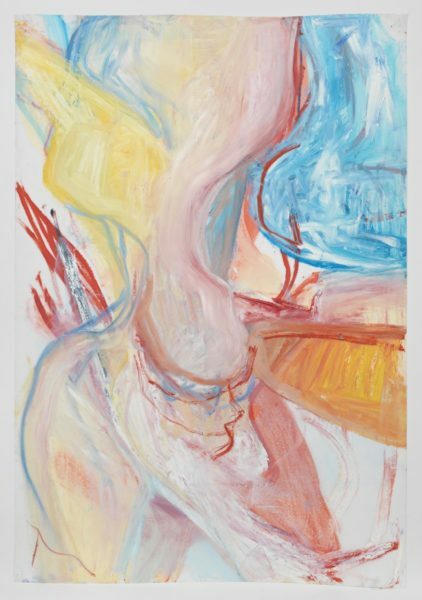 She was one of the pioneering supporters of the American abstract expressionist painters, picking up the baton from Peggy Guggenheim’s The Art of This Century gallery. How interesting to consider that through those macho times, it was these brave, smart women who were doing the business. Parsons continued to paint throughout her career, at weekends and through the long summers when her New York gallery was closed. 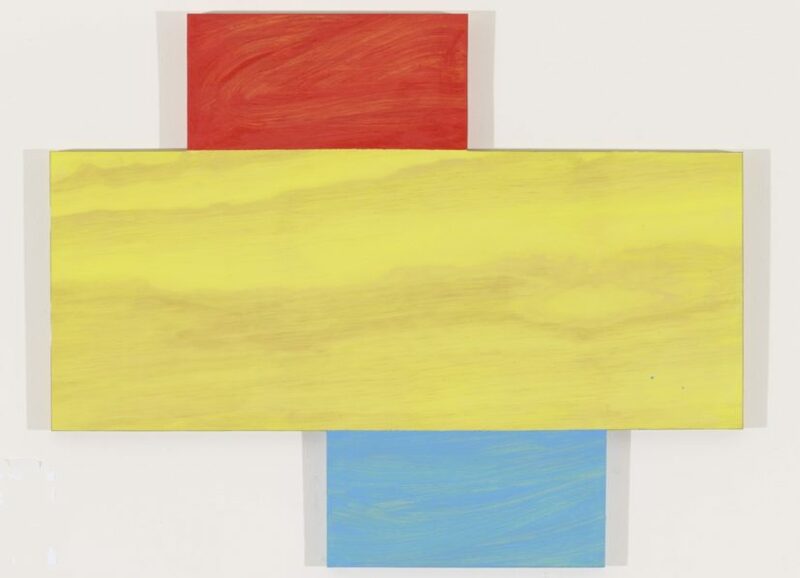 Although the show is international, there is a preponderance of British and US artists that enables some fascinating considerations, especially thinking of the cross-currents between the UK, Europe and the US in the years around the Second World War. Paule Vézelay was born in 1892 in Bristol but spent formative years in Paris, working alongside Miro and Kandinsky before being forced back to the UK by the war in 1939. 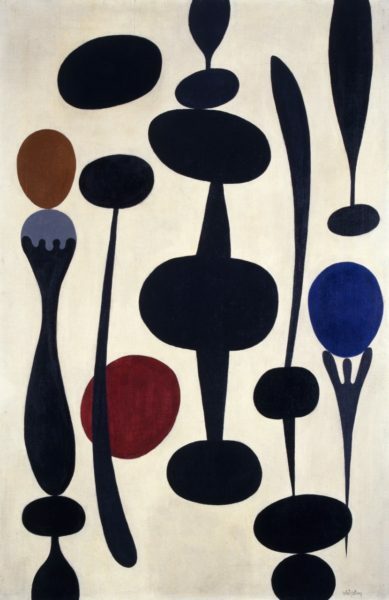 Her biomorphic painting here, Silhouettes, was made just the year before and she was obliged to leave it in Paris when she fled. Born in 1919, Prunella Clough is unusually represented by two paintings in the exhibition. 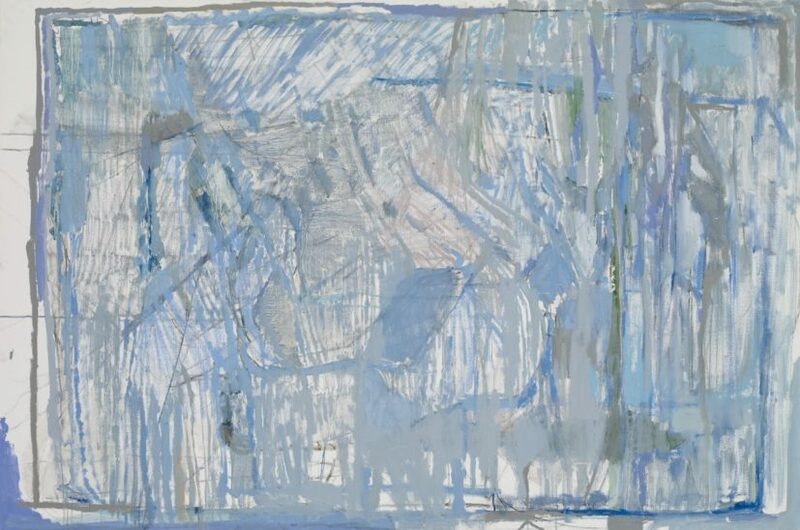 A key figure in postwar British abstraction, the evolution of her style is indicative of the slower acceptance of European modernism here. 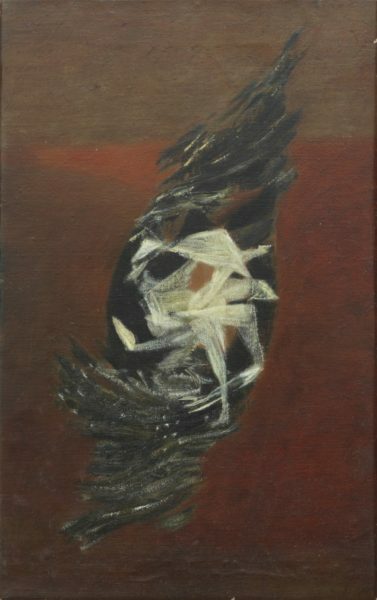 Clough’s earlier painting, Equinox, 1947, is from the period when she was just beginning to turn her back on figuration in favour of abstraction. The later Stone, 1985 is from the period when she had wholeheartedly embraced it. In 1989 she showed at Annely Juda in London, where the exhibition was a critical as well as a financial success. In the US, Agnes Martin (born in 1912) was a contemporary of the Abstract Expressionist painters and was an important figure in that New York scene until she moved to Mexico in 1968. 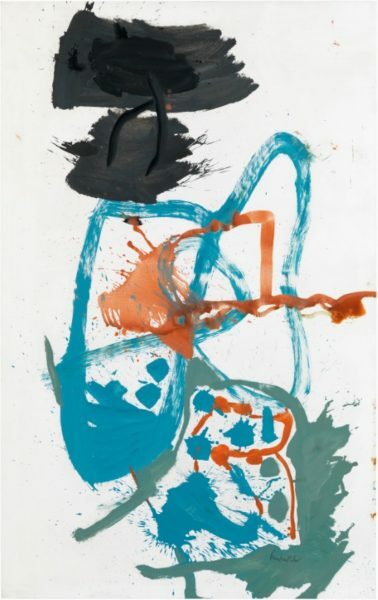 Painters such as Helen Frankenthaler and Joan Mitchell, born in 1928 and 1925 respectively, exhibited alongside Pollock, Kline and de Kooning – as well as Lee Krasner – In the 1951 9th Street Art Exhibition that was pivotal in establishing the AbEx movement. Frankenthaler’s innovative ‘soak-stain’ technique was influential in the development of the later Colour Field painters such as Morris Louis. 1951 in the UK was marked by the Festival of Britain. Prominent young painters of the day were given standard size canvasses and commissioned to make work for exhibition on the South Bank. 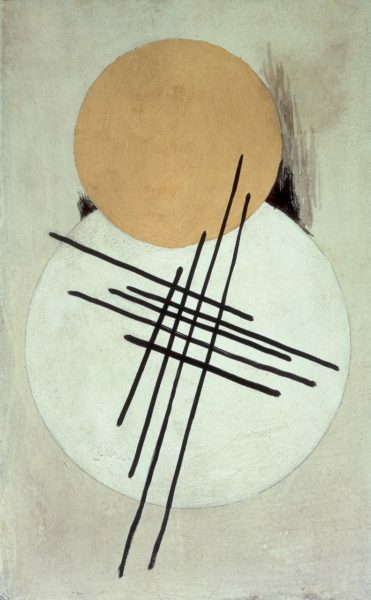 Victor Pasmore, like Prunella Clough exhibited work that while abstract, betrayed a continuing connection to a romantic, pastoral English tradition, unlike Nicholson whose European and American travels steered him more fully towards geometric abstraction and constructivism. There is sadly not space here to discuss all the artists represented in Surface Work. In the 21st century artists have not needed to negotiate the ideological and political discourse that surrounded abstraction from the 30s onwards. 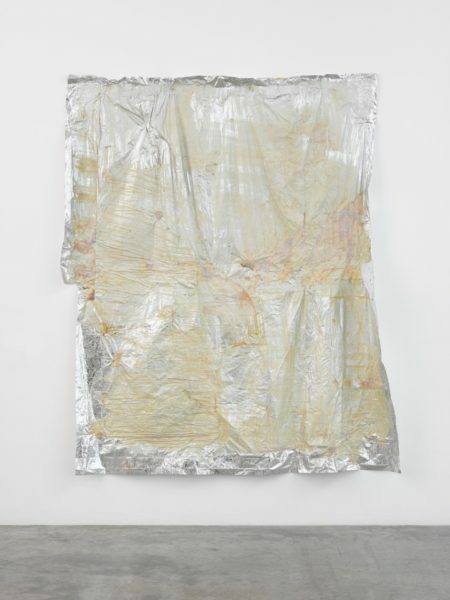 There has been a greater freedom to explore formal concerns, responding to other realities such as cultural identity (Bharti Kher), corporeal reference (Dala Nasser and Loie Hollowel), or environmental concerns (Jessica Warboys). 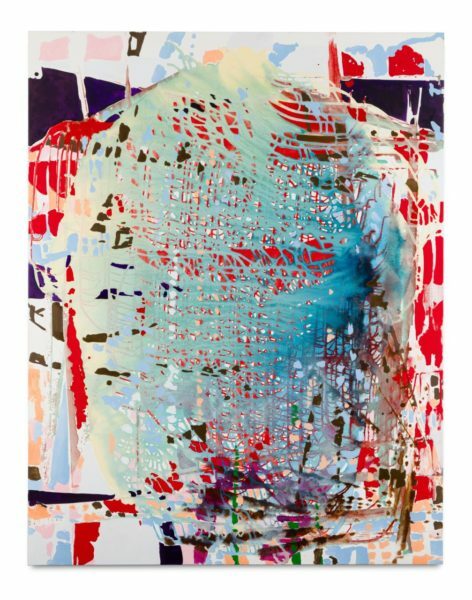 Painters such as Fiona Rae and Victoria Morton evince a comfortable familiarity with the art historical narrative of abstraction and are evidently not intimidated by it. 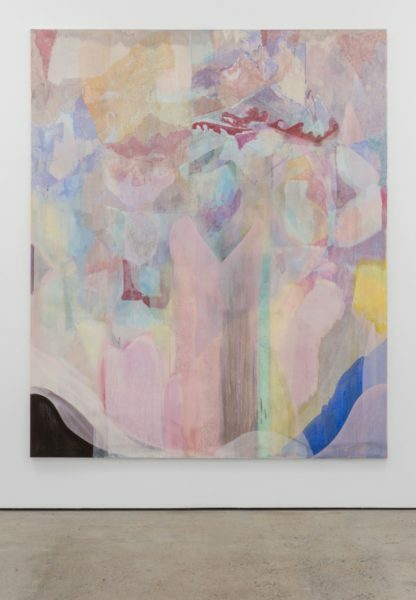 The choice of scale is self-confident, as with the domestic size canvases by Varda Caivano that do not need to be monumental to make their powerful visual arguments, or the vast, unstretched linen that Jessica Warboys paints on the seashore. These women stand on the shoulders of the painters of the later post-war years such as Bridget Riley (not represented here) who continues to open out new visual territory for painting.